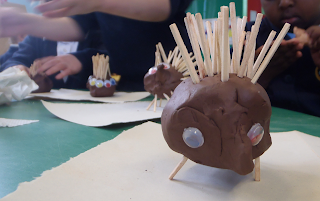 AWT Wild Schools blog: Victoria Park Primary School go Hedgehog-tastic! ﻿﻿ ﻿﻿﻿﻿﻿﻿﻿﻿A reception class from Victoria Park Primary School decided to choose The Avon Wildlife Trust as their charity for their school charity week. Feeling pretty happy about this, we decided to go in to the school and give them a morning full of hedgehog fun! 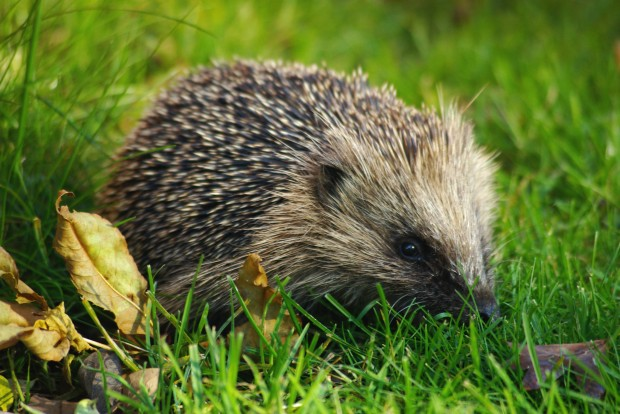 The children learnt all about how hedgehogs find their food by playing our hedgehog game - using their sense of smell to sniff out any slugs they wanted to eat and curling up into a ball if they smelt a badger! Have a listen to the fantstic hedgehoggy facts the children learnt here. We also got our hands dirty making clay hedgehogs with the group. Have a look at some of their creations below. We rounded off the day with Ann's very own story, 'The Adventures of Spike The Hedgehog' whilst I acted out Spike's adventure in the Avon Wildlife Trust's very own hedgehog costume! What a brilliant morning and great group of children. Thanks to the Yellow Class at Victoria Park School for choosing to support us!